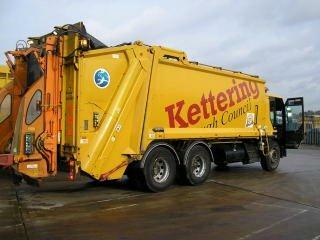 Kettering Borough Council has appointed Specialist Fleet Services (SFS) to handle a major new contract which will see the company assist with the design, build and internal fit-out of a new workshop for the Council as well as supply 122 vehicles. The new workshop, which will be completed within the next 12 months, will form a key part of the redevelopment of Kettering Borough Council’s own depot. The workshop design, build and fit-out service is the latest addition to SFS’ range of services and will help the Council, which has worked with SFS since 2003, to deliver significant operational cost savings. SFS is also supplying the Council with 122 vehicles – these include two Schmidt Swingo 200 sweepers and one Johnston V651 swepper, nine 6x4 Dennis Eagle Olympus 21 standard vehicles, one 6x2 Dennis Eagle narrow duo, two 6x4 Olympus 22 twin-pack bodies and one 4x2 Olympus 10N. All chassis will be of Dennis Eagle’s ‘Elite’ design and all lifts manufactured by Terberg. A mix of vans, tippers, a Luton body and two Landrover 130 chassis cabs with Arb truck conversion for the tree gangs are also being provided along with some specialist equipment, such as Arb tippers and sweepers.